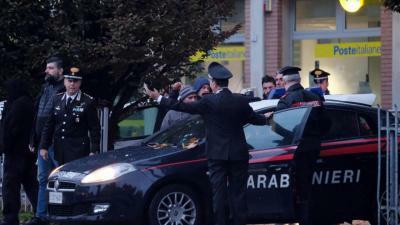 ROME - A mass operation against the 'Ndrangheta mafia took place Wednesday, on an international scale. A total of 90 people with connections to the Calabrian mafia network were arrested across the globe, in countries ranging from Italy to Costa Rica. The first arrests took place in Locride, where the Pelle-Vottaris clan are believed to be at large. The operation took place in Italy, Germany, Belgium, Holland as well as in Costa Rica and Columbia, countries from which Mafia families such as San Luca and Natile di Careri obtained large amounts cocaine. The revenue of the drugs, which have reportedly “invaded Europe,” was reinvested by the clans into international trading activities. An investigation into the 'Ndrangheta mafia operations was coordinated by the ‘Direzione nazionale antimafia’, and several years’ worth of examinations had been carried out by a Eurojust Joint Investigation Team prior to the operation. The team, made up of magistrates and international police forces, also included the District Prosecutor’s Office in Reggio, as well as State and Financial Police departments. The accusations detailed in the Preliminary Investigation Judge’s arrest warrant range from international trafficking of narcotic drugs to mafia association. They include money laundering, fictitious ownership of goods and other crimes, regarded as serious due to their mafia connections. The leader of the Pelle clan was allegedly arrested in Wednesday’s operation. The vast scale of the operation illustrates just how far ‘Ndrangheta has grown. Once the cousins of Sicily’s Cosa Nostra operating in Calabria alone, the clan now has strongholds in central and northern Italy, as well as Europe, Canada and Australia.